A Built-Up or ‘warm’ roof is where the primary layer of thermal insulation sits directly beneath the roof covering but above the roof’s structural deck. The actual roof structure’s temperature will be similar to that of the inside of the building. 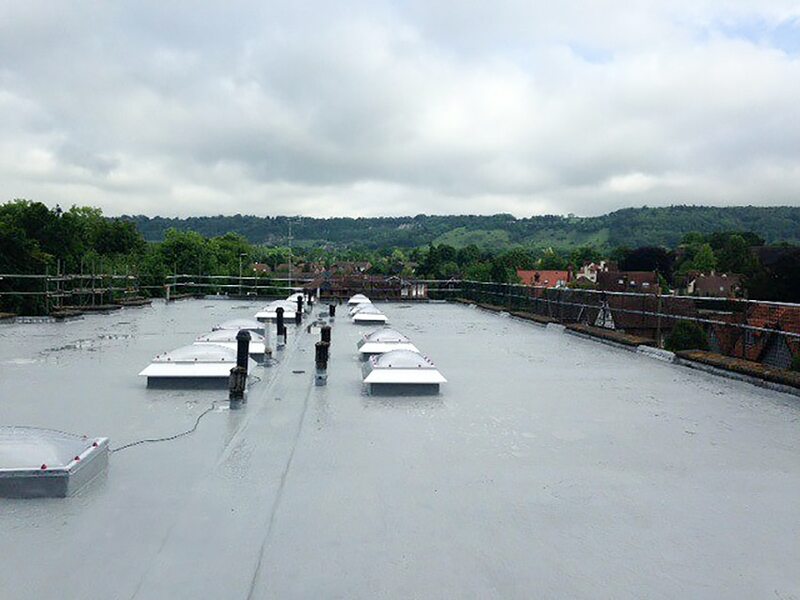 A ‘Built-Up’ roof (BUR) comprises a roof structure or deck, a Vapour Control Layer (VCL), thermal insulation, a carrier membrane and a liquid-waterproofing membrane. In order to control condensation development, the VCL is laid underneath the insulation with the corresponding insulation needing to be sufficient to maintain the VCL above a dewpoint temperature, calculated in accordance with BS5250 (Code of practice for control of condensation in buildings) & BS6229 (Code of Practice for flat roofs with continuously supported coverings). 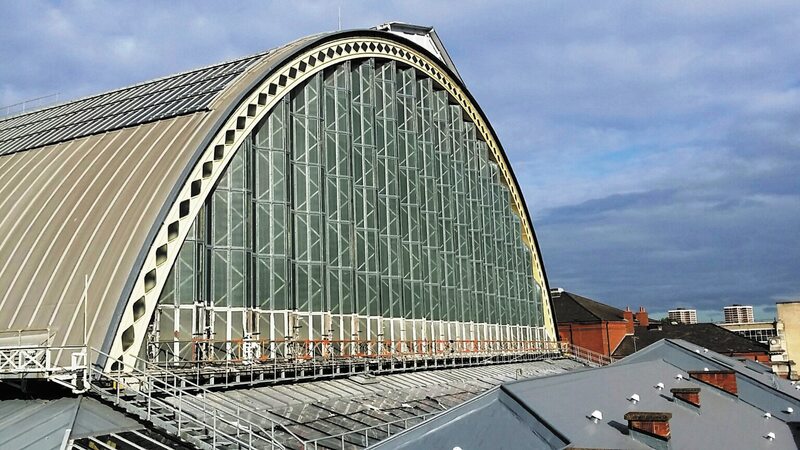 The advantage of applying liquid roofing systems OUTSIDE of a building – particularly in refurbishment situations – is the building and occupants below can carry on with normal day to day operation without the need for disruptive works internally. The Built-Up roofing systems applied by Cemplas are completely cold-applied meaning that NO HOT WORKS are carried out ie that no naked flames or heat are used negating fire risk. 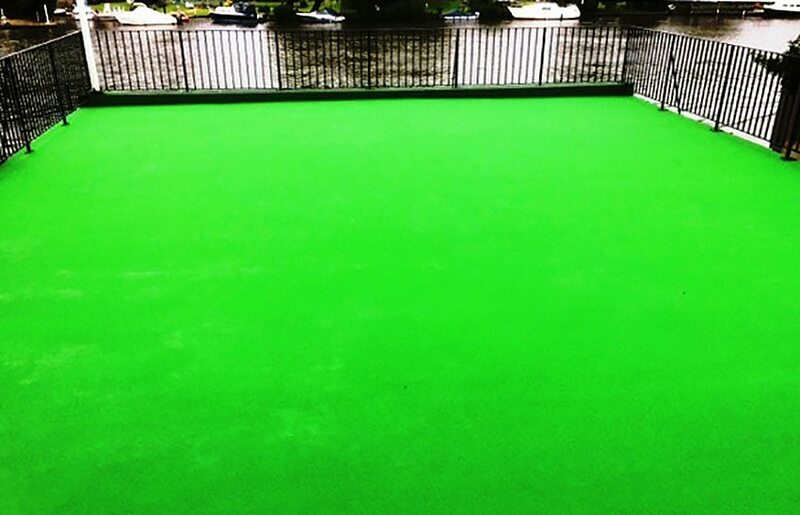 We can also supply and install whole systems (VCL, insulation, carrier membrane AND waterproofing membrane) from a single source allowing us to offer a single-point guarantee of performance to clients.